Dr. Promilla Butani, a leading consulting Pediatrician in Delhi, has been working in the field of child care since 1971. 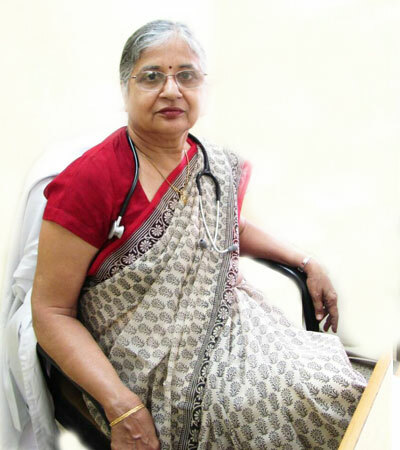 She started her journey after graduating from Armed Forces Medical College, Pune in 1970, following which she underwent an extensive Post- Graduate Training in all core specialities of Pediatrics-both in India and United Kingdom and a Diploma in Pediatrics from Safdarganj Hospital, New Delhi. She has also obtained a Post-Graduate training in Pediatric Medicine in United Kingdom 1978-1981, and has been in practice as a consulting Pediatrician & Neonatologist since 1981. With over more than 4 decades of experience and having looked after more than 2 generations of children, Dr. Butani is an expert in her field and has practiced in various hospitals in Delhi. Since 2003, she has been working with Max Multi Speciality Centre, Panchsheel Park and is also a visiting consultant at Max Smart Speciality Hospital, Saket. Life member, National Neonatology forum. Life member, Indian Academy of Pediatrics. Life member, Breast Promotion Network of India. Founder member, Child Health Organisation. Being a pediatrician is a huge responsibility involving not just the child's but also the parent's well-being. A child care specialist or a pediatrician ensures that your child is healthy and disease-free. We understand this responsibility as much as you do, and take utmost care of your little one, pre and post birth. Having an exceptional bond with children, our doctor, Dr. Promilla Butani has been running a modern but child and parent friendly clinic at Sarvodaya Enclave since 1989, and has been catering to all medical needs of newborns, infants, children and adolescents. She possesses a great fondness towards children, as the same is very well reflected in her dedication and concern towards them and her work in field of childcare. With our expert, we make sure to give your child the best care with all tenderness. The child care clinic is well equipped and provides for any medical aid that may be required for the child. The specialisation being pediatrics, we treat and care for newborns,infants,children and adolescents in sickness and health for their evaluation and treatment. The clinic looks after Community Pediatrics, Social Pediatrics, Adolescent Pediatrics, Preventive health care of children, Immunisation/ vaccination of children from 0 to 18 years. The doctor is a qualified pediatric and neonatologist, and provides every possible care for your child. She can be contacted 24x7 in the case of emergencies.